Black South Sea Tahitians are cultivated in a mussel called Pinctada margaritifera. Due to the species outstanding qualities, Tahiti’s dark pearl production is considered as the world’s best. Contrary to freshwater and saltwater pearls, only one nucleus per mussel can be implanted. Many live oysters reject their irritant though. Risky business for pearl farmers caring for the sensitive mussels. Only a small percentage of harvested Tahitian Pearls will be perfectly round. Those black tahitian pearls come in beautiful colours: bright silver, blue, green, peacock, copper and dark grey. 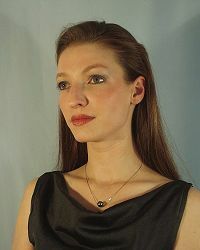 Black tahitian pearls achieve a top-price level worldwide. For an immaculate pearl necklace you will have to spare a small fortune. "Black is beautiful" when it comes to Tahitian pearls. The darkest colours are the most valuable.